Spring and Summer brought exciting change for the designers of Terra Ferma Landscapes. 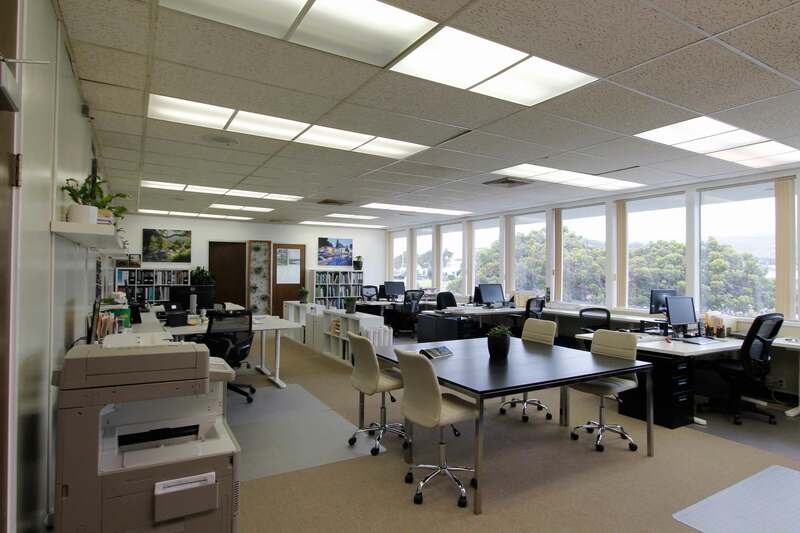 When the neighboring office became vacant we seized the opportunity to expand and undergo a major office remodel. 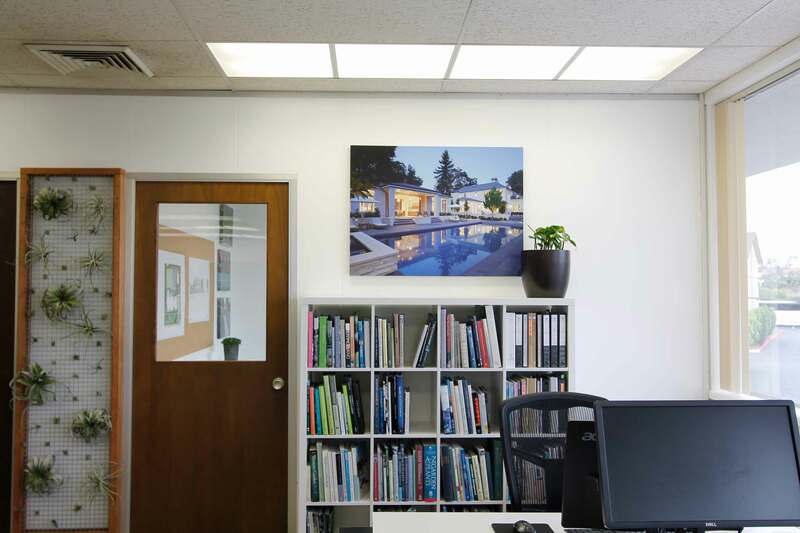 Our design studio is within a dual level office building with mid-century influence. The studio used to consist of three connected office spaces, partitioned off by walls and doors. With the designers and design resources spread out between three rooms, our efficiency was beginning to suffer. As we outgrew the office we also struggled to contain all of our documents, materials, and drawings. Our main goal was to open and connect the offices to adapt the space to our collaborative design process. We tore down the partition walls and doubled the size of our internal conference table, allowing for discussion and relaxed design charrettes. For charrettes and meetings with our clients and colleagues we used space within the new unit to create a conference room. This area also functions to display our attractive material library and provide space for pinning up our drawings and inspiration. 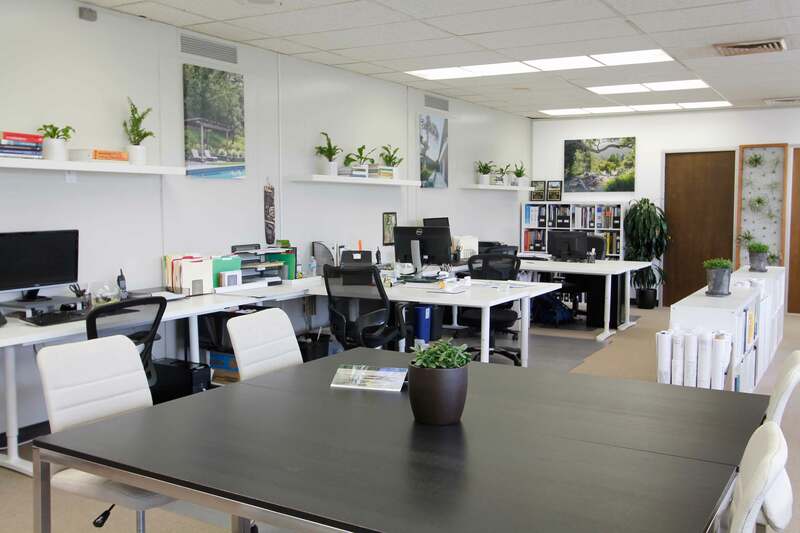 We wanted the new studio to expand upon our professional, clean, and functional aesthetic. Our new furniture palette is a consistent white and black with clean lines. 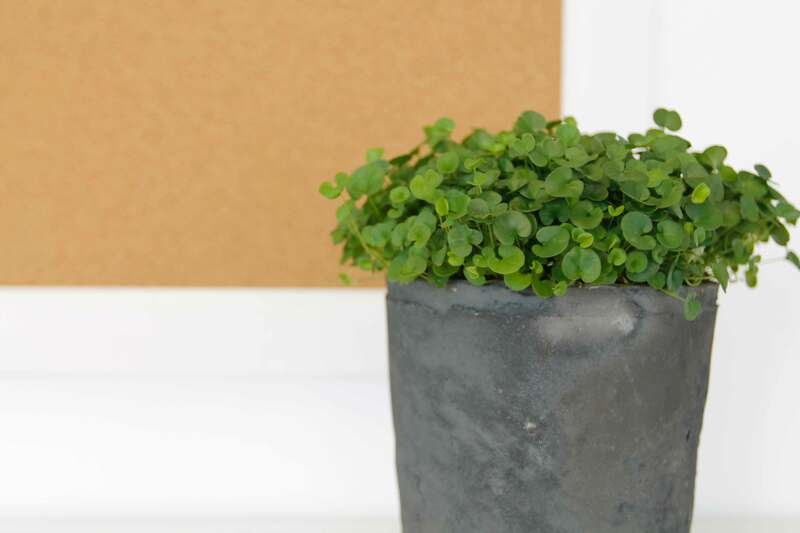 This complements the large photo canvases that display our portfolio. 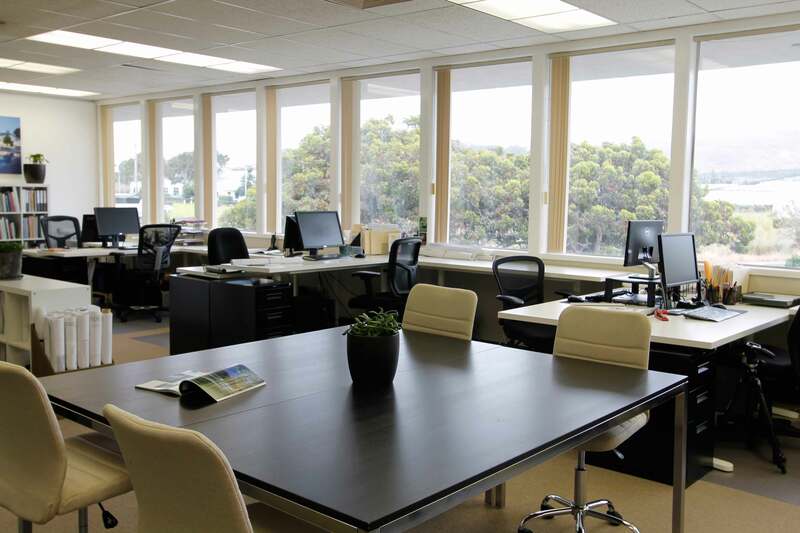 In tearing down the partition walls we drew maximum benefit from our existing wall of windows. In combination with new white and Swiss Coffee warm grey walls artificial lighting is unnecessary on a sunny day. 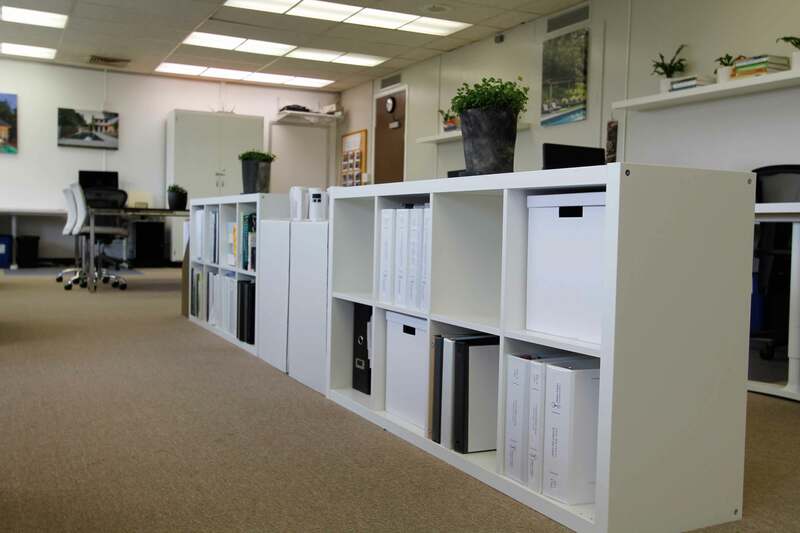 One of the functional and attractive elements that makes the space work so well is center island storage which keeps reference books, project binders, and illustration tools at our fingertips. 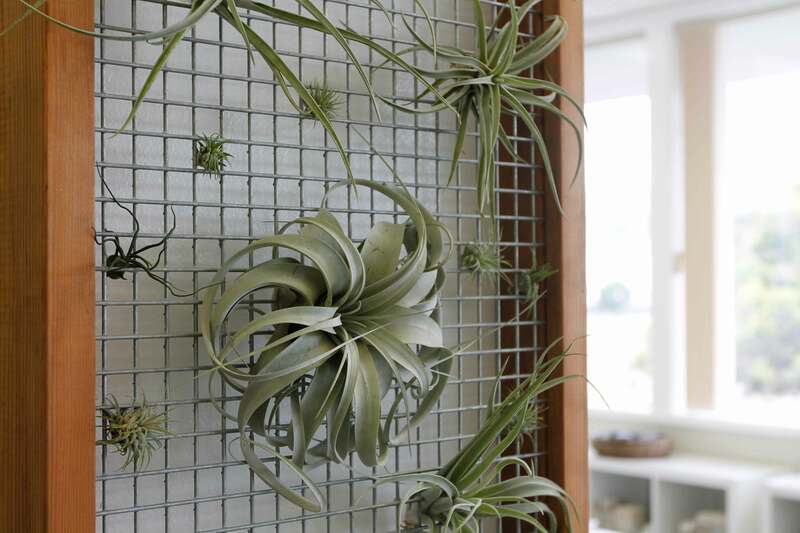 We softened the walls with a beautiful and inspiring display of air plants and a variety of potted plants. Enjoy the before and after photos of our transformation.